Fanvil SIP Phones and Security Devices are Now Certified with Metaswitch! Fanvil is excited to announce that their full series of SIP phones and security devices are now certified on Metaswitch Platform! The certified products include Fanvil office phones, hotel phones, SIP intercoms, SIP door phones, and more devices. Being certified with Metaswitch, Fanvil SIP endpoints are completely compatible with Metaswitch platform. Together, they are able to bring more reliable innovative and cost-effective solutions to customers. 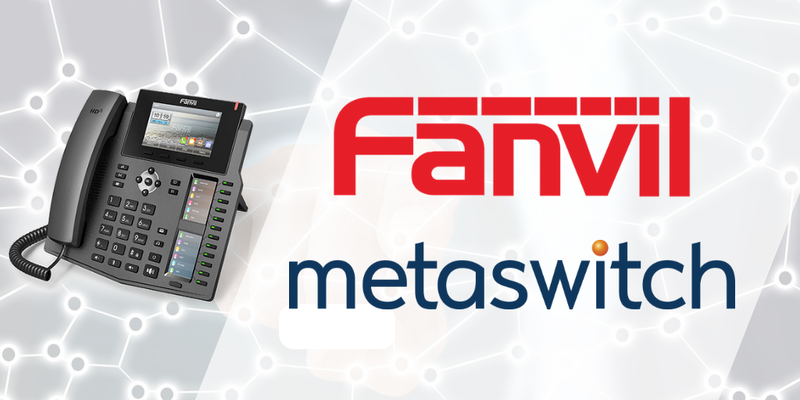 To learn more about how Fanvil phones work with the Metaswitch server, please click here to see the configuration guide. We are very thrilled to hear this new partnership between Fanvil and Metaswitch! We look forward to seeing how our customers benefit from it.